The timeshare concept wherein you own a property or villa or apartment to use for a week or longer on a holiday resort or hotel for a period of time you have registered for. This business line was not easy earlier in India as there were many limitations for members you want to travel different places. Understanding across the expanse of membership needs, we at Magic Holidays have uniquely designed holiday timesharing that allows you to easily exchange your owned domestic holidays with another resort or hotel listed with us, if you wish to change a travel plan. In this way, we aim at providing members a different experience every time with an array of membership options to choose from opening to the world. One of our many milestones in the timesharing journey can be witnessed at United-21 City Mark, an oasis in the busiest financial and commercial hub, Gurgaon. 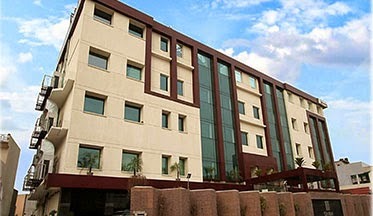 United-21 City Mark is a 4-star luxury hotel, known for its its elegance, located in the heart of technologically advanced Gurgaon city, serving with exquisite quality and the members can enjoy all privileges here. United-21 Citymark – Gurgaon features a bar/lounge and a coffee shop/cafe amongst its general areas. An outdoor swimming pool persuades many water lovers to make this their residence for a stay in Gurgaon. A sauna can be found on-site and, along with a spa tub and a steam room. You could use one of the 5 meeting rooms for your events. With this, you are sure to find the ideal place to host your meeting in United-21 Citymark – Gurgaon. Three banquet and conference halls, and a board room are perfect for social events, wedding receptions or business meetings with accommodation for 20 to 600 people, for small business meetings to large conferences.